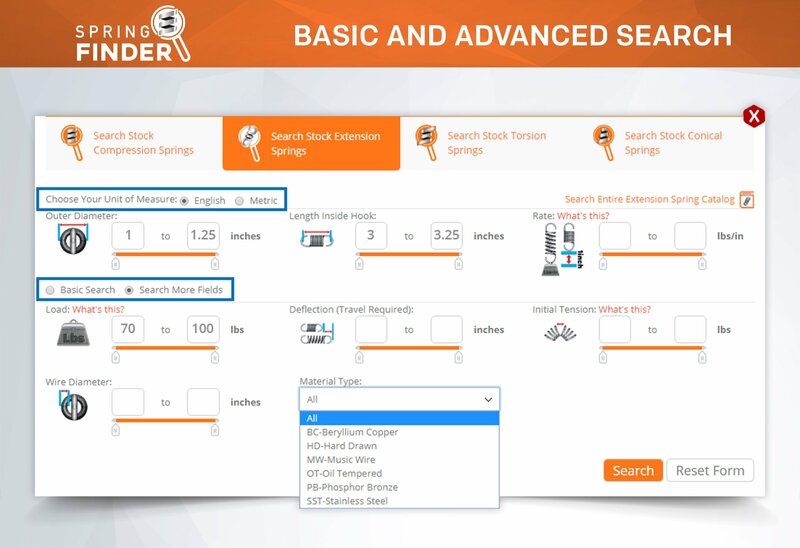 When designing a compression spring, there are a few compression spring design considerations which must be taken into note. 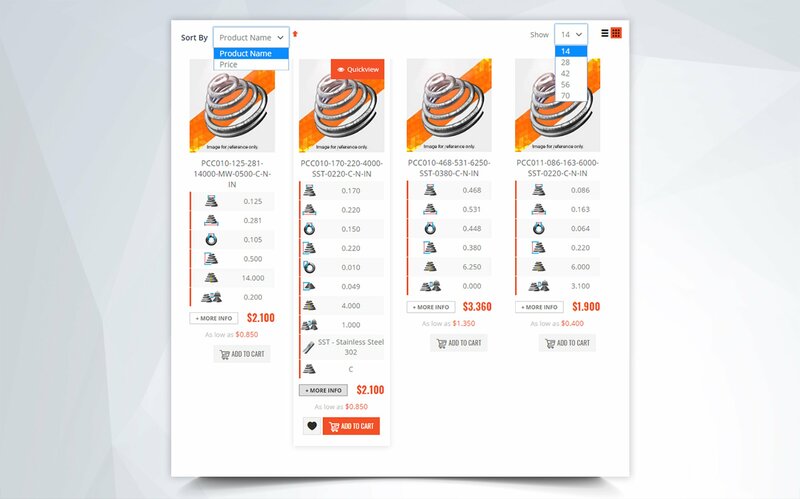 These include considerations on the physical dimensions, the working loads, and even the pros and cons about purchasing stock and custom compression springs. 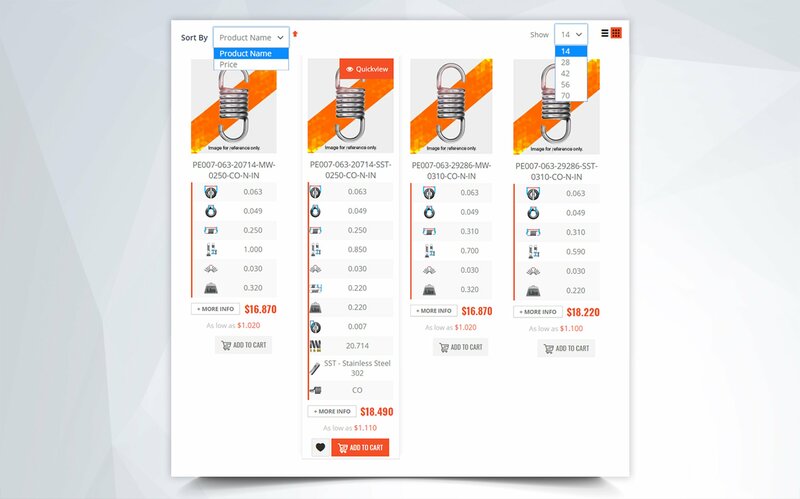 To begin, we will take a look at the compression spring design considerations based on physical dimensions which are also related to the mating parts. 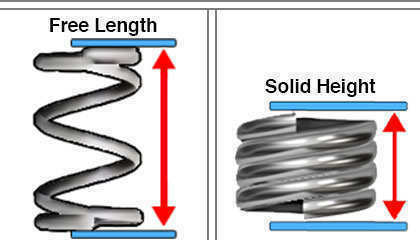 We will then take a look at the force and working load related compression spring design considerations. 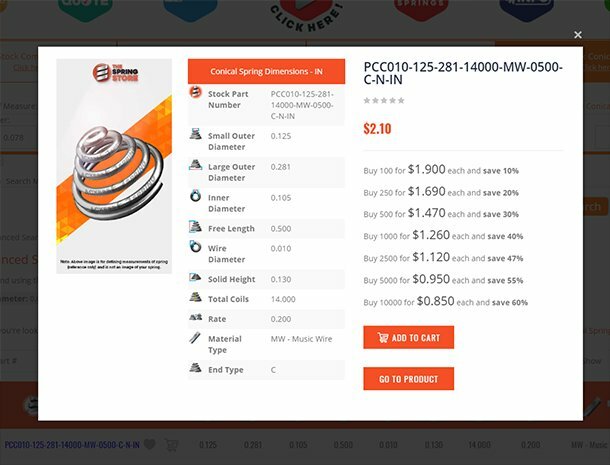 Last but not least, we will demonstrate when it is convenient to purchase stock springs vs. custom springs and vice versa. 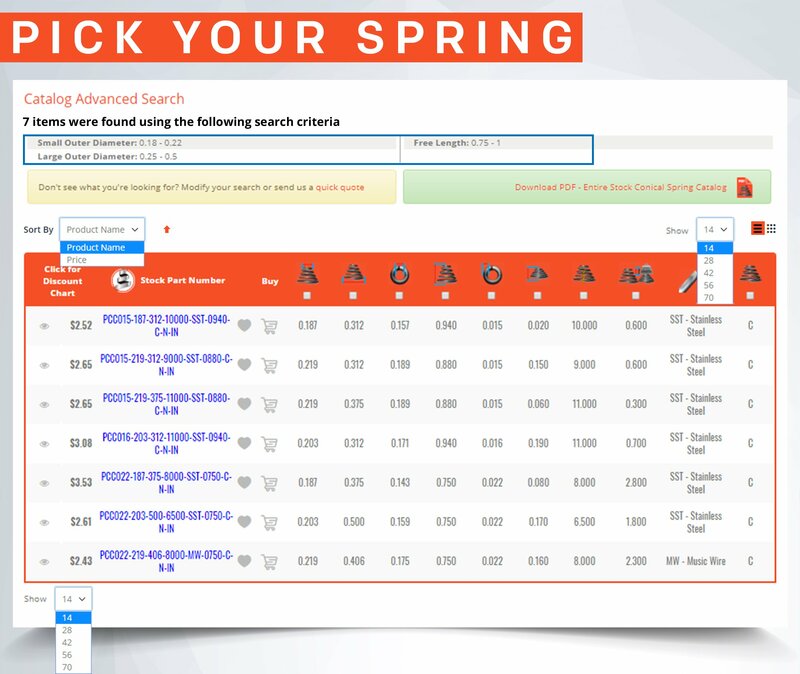 To begin designing compression springs, you must take into consideration all of the physical limitations around the spring. 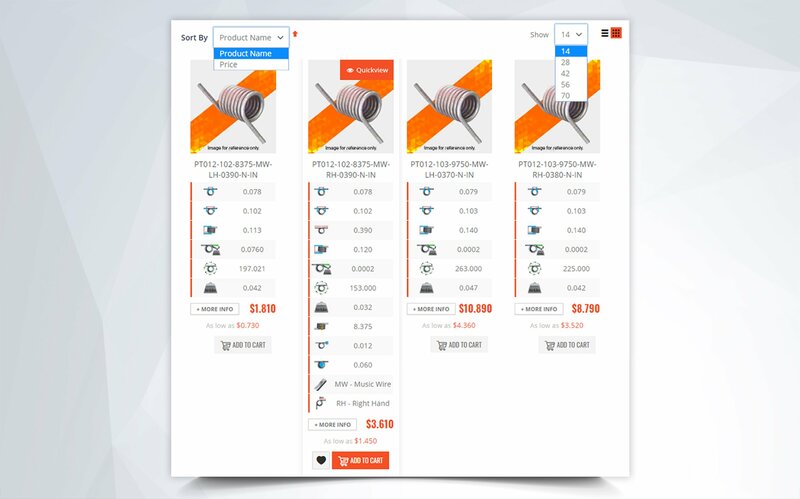 The compression spring dimension sizes that must be taken into consideration are outer diameter, inner diameter, free length, solid height, and material type. The outer diameter of your compression spring must be considered if it is going inside of a hole. Regardless, if there are objects within the device which will be surrounding the spring, those must be measured and taken into consideration as well. 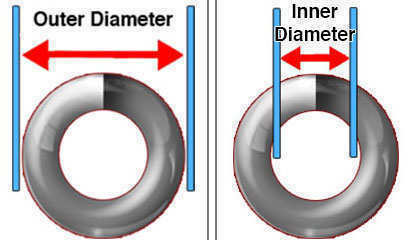 The inner diameter of your compression spring must be considered if your spring is going over a shaft or mandrel. There must be a ten thousandths of an inch of clearance between the shaft and the spring to avoid friction. It is recommended that your compression spring’s free length is a bit longer than the space provided so that it is in a pre-loaded state and remains in place. 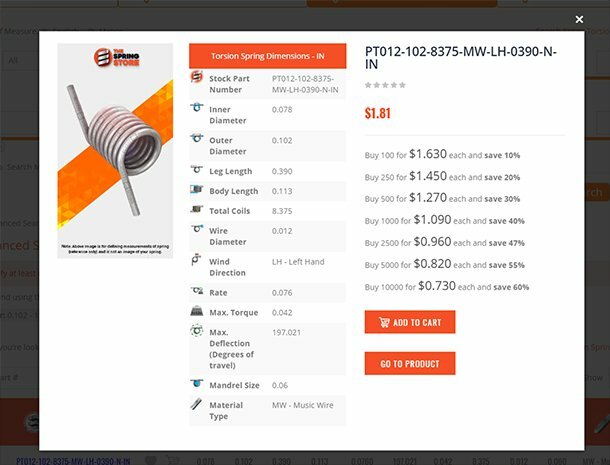 Your spring’s solid height is influenced by the wire diameter and total amount of coils. You must make sure that the solid height isn’t taller or longer than the loaded height. This is a very important compression spring design consideration. You need to consider the environment your spring will be placed into. This includes temperature and other elements such as moisture. You also don’t want to go for very extravagant materials since the costs can make your spring more expensive. The higher the temperature a spring is able to withstand, the more expensive the material. 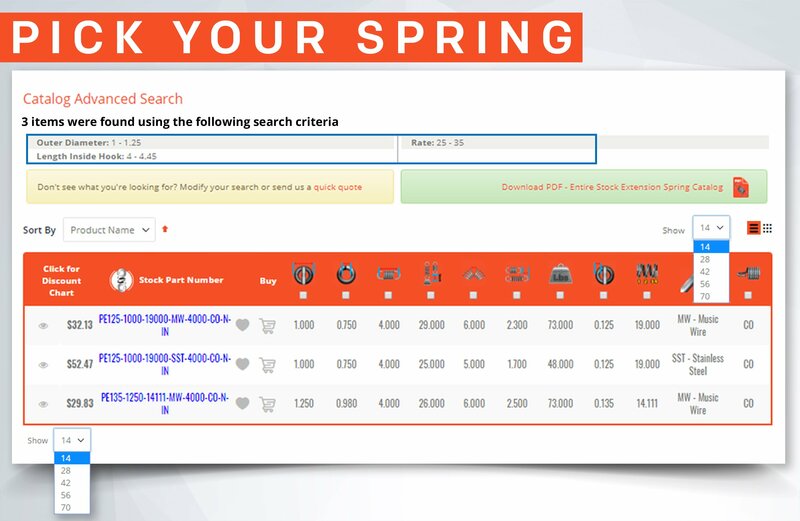 Our “Properties of Common Spring Materials” page will point you the right way to choosing your spring’s material type. 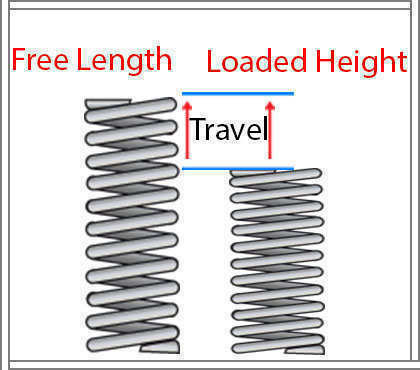 Your compression spring's travel limitations are based on its physical dimensions and material type. 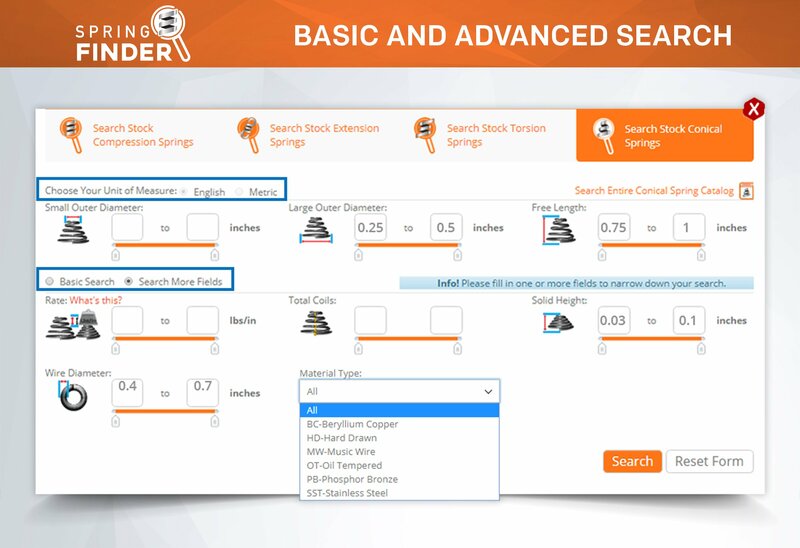 This “safe travel” is known as maximum travel considering solid height although your spring may not always be able to travel down to solid height due to the spring index being too small or the pitch between the coils being too large. Exceeding the maximum travel considering solid heightwill cause your spring to take a permanent set in length thus losing force. 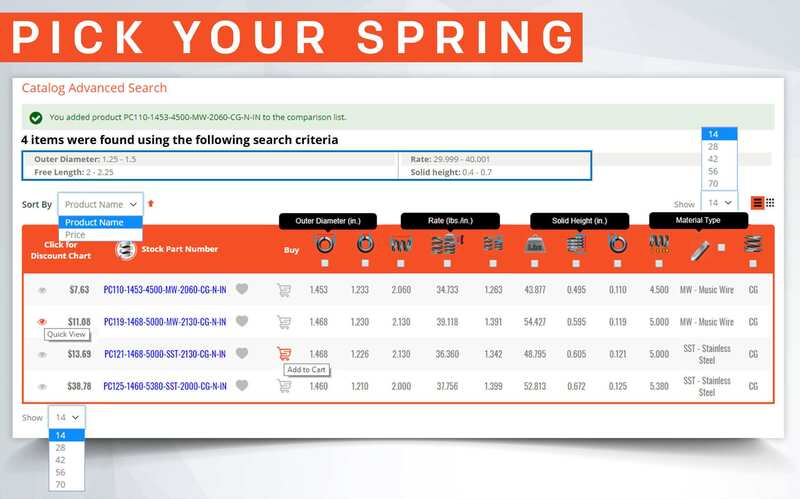 Depending on your compression spring's dimensions and material type, there is a limited amount of load your spring is able to carry. This is referred to as maximum load considering solid height. If the maximum load considering solid height is exceeded, your spring will either break or take a permanent set. 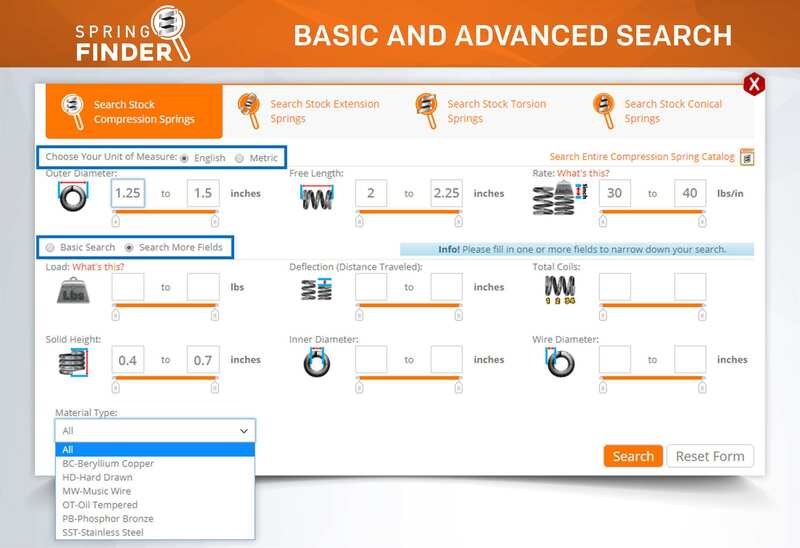 Spring ratedefines the force of your compression spring. With this value you are able to determine how much force (pounds or newtons) it will take your spring to travel one unit of measurement (inches or millimeters). 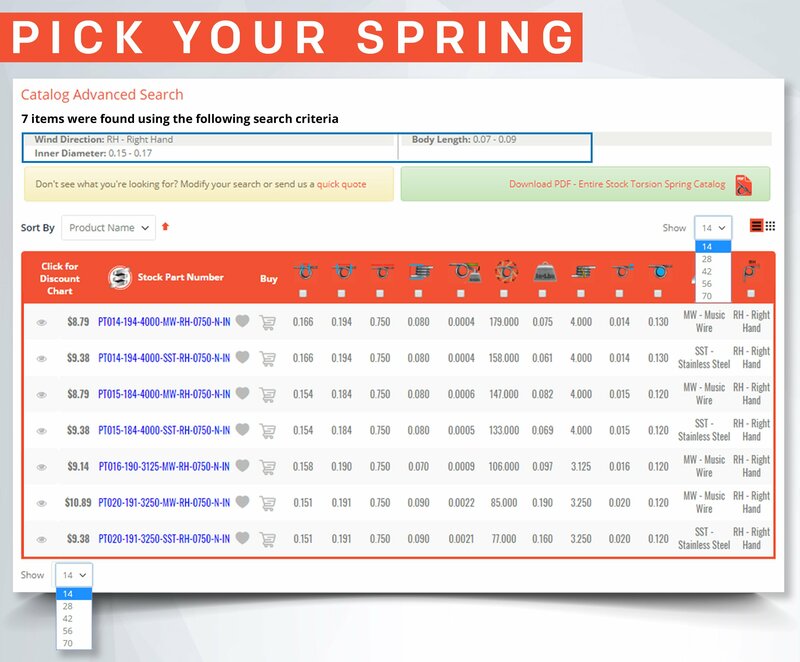 With this value you will be able to calculate your spring’s working loads to make sure that your spring will travel down to your desired solid height under a specific load. Stock springs are very useful when one is in the prototyping phase of a design or in need of replacements. This is because they are a more economical option when purchasing small quantities. 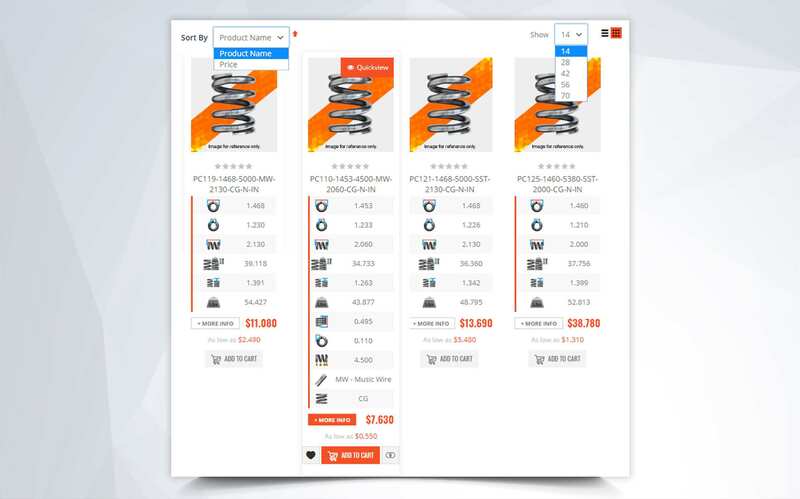 It’s just better to buy a few different parts to test in order to calculate and figure out exactly what you need. 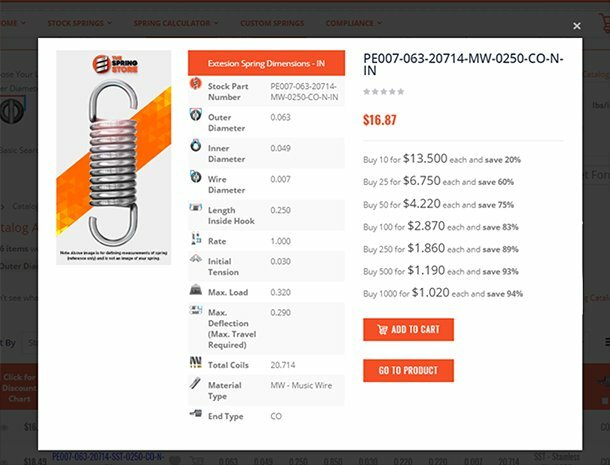 Custom springs are great when you go into the production of your spring operated devices. 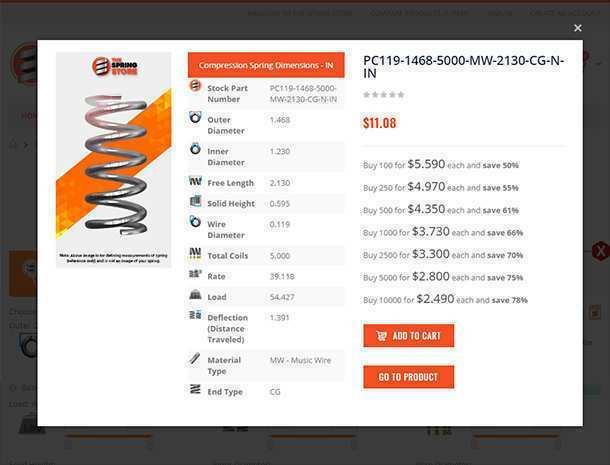 The prices on large production quantities are much lower than they are for stock springs. 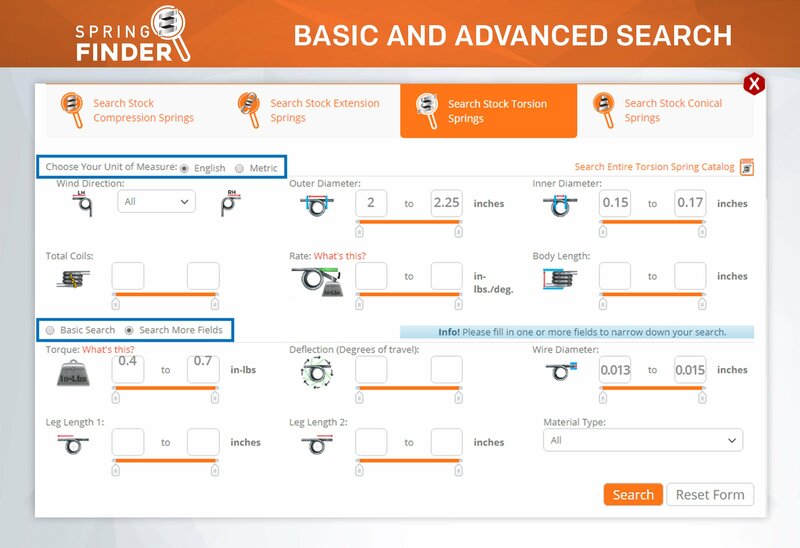 You are also getting exact dimensions when stock springs are only similar or approximate.